Wednesday, June 13th, 2018, by Daniel and is filed under "Art by GrettaJean ". You can leave a response here, or send a Trackback from your own site. 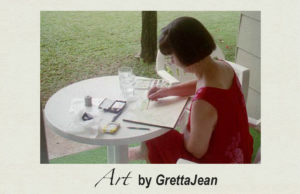 Absolutely lovely, Gretta! I’m looking forward to talking with you about your work when next we meet. What a lovely piece Gretta! I think fall is my favorite season in Yosemite. 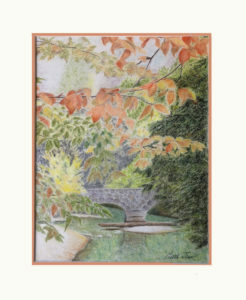 With the colors you chose, I can almost feel the fresh crisp air of early morning, and a warm relaxing afternoon. It also reminds me that it has been far too long since Jim and I visited rhe park. How very lovely. How very lucky the two of you are to have each other.